Hopelessly Devoted Bibliophile: The Lying Game, coming to ABC Family! 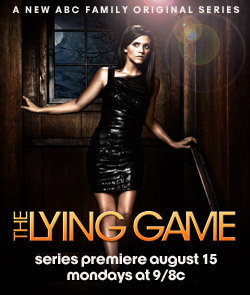 The Lying Game, coming to ABC Family! 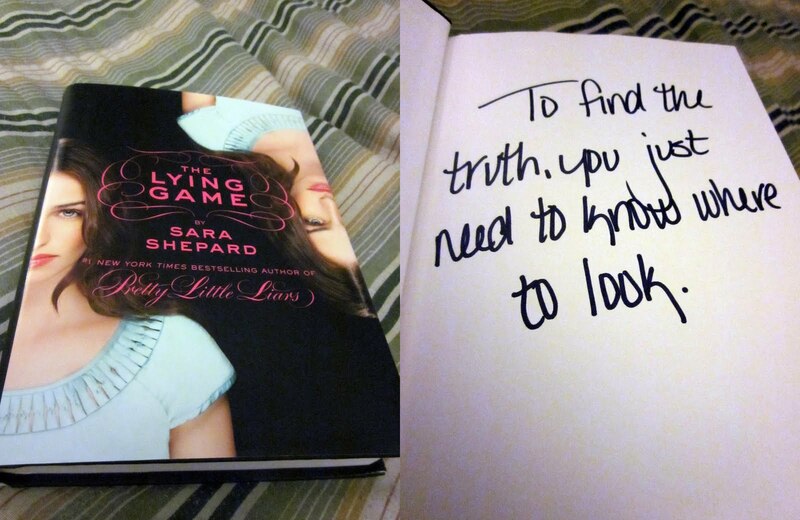 THE LYING GAME is being made into a tv series on ABC Family! Yup, the much loved book (soon to be 2 books) is coming to a television near you on August 15th! SO EXCITED! (I have a DVR now so I can actually watch the whole show as it goes on.) Yes, I'm a happy girl. Well I flipped a few pages and found out that there were actually specific letters underlined in a lot of the titles of each chapter. I can't wait to see what happens next! The Chosen Prize Pack Giveaway! Joseph Lunievicz shares his summer activities!